Count on Toyota Financial Services team at Ken Shaw Toyota to deliver the superior service and quality that you've come to know and expect from the Toyota family. Our promise to you includes fast credit approval, competitive rates, and flexible terms all presented to you in plain language with full disclosure contracts to provide you with all the information you need. The biweekly loan payment option enables you to make your vehicle payments every two weeks instead of on a monthly basis. See your Toyota Dealer for details. Unless you're paying cash for your Toyota upfront, the only way to take one home is to finance or lease it. Financing requires making monthly payments to pay for the purchase of the vehicle. Leasing involves paying for the use of the vehicle over time plus any lease charges. Not sure which is better for you? Check out our Buy or Lease? quiz. We also have a Buy vs. Lease matrix featured in this section that can help explain the differences between financing and leasing. Establish a process to make your payments well before the due date, so you can help avoid late fees and other possible charges. Also, make sure you have the money in your account - you can write a check or schedule an online payment, but if you don't have the cash, you won't be on time. Making payments on time is not only simple, it's one of the best things you can do for your credit score. There's a wealth of information out there on the Web and in the media that addresses issues that you may have with your credit and how to maintain good credit - use them! And be sure to periodically review your credit report for errors. If you issue a complaint, the bureau and your creditor must investigate it and correct or remove any information that isn't accurate. Creating a budget (even a high-level one) will show you where your money is going - and this is powerful knowledge. Armed with this info, you'll find it's much easier to track outstanding debt and work toward paying it off. Is your Lease about to end? Normal wear and tear to a vehicle is to be expected. We can all relate to the occasional scratch and scuff however, kilometrage in excess of that specified on your lease agreement and/or damages exceeding normal wear and use may be chargeable to you upon the end of your lease. To help avoid any surprises and charges, review our Excess Wear and Tear Guidelines and Charges for examples of what is considered excess. 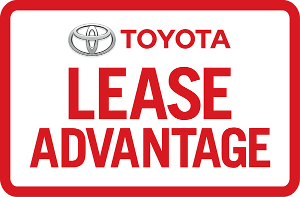 Learn about the Toyota Lease Advantage. You’ll discover why leasing a new Toyota is a great decision, no matter where you are in life. Enjoy affordable payments, flexibility and convenience along with the legendary quality, dependability, and reliability you’ve come to expect. In 2015, the Automotive Lease Guide (ALG) awarded seven Toyota vehicles for best residual value, given to vehicles that hold their value best by the end of their lease. And when it comes to retained value, six Toyota vehicles took home Canadian Black Book Awards, given to vehicles that best hold their value when it’s time for a trade-in. Financing: Same Car. Same Term. Less Money. Leasing can be the financially responsible thing to do, as leasing offers lower monthly payments versus financing, for the same car and term. In addition, leasing rarely requires a down payment, meaning no upfront tax on the entire value of the vehicle – just on the monthly payment. If you lease for a term that coincides with the length of the manufacturer’s warranty, repairs will always be covered. Thinking of starting or already running your own business? Leasing may offer significant tax advantages in Canada to business owners. Check with your tax advisor to see if leasing benefits you. After all, you owe it to yourself to arrive to every meeting in style. Leasing could be considered as a long-term test drive. And at the end of your lease avoid the hassle/pressure of selling your car on your own. You can either buy your vehicle out and keep it, or simply drop it off at the dealership and lease a new one*. With standard GAP Protection and the optional Toyota Wear Pass Plan, you’re protected against excess wear and tear you may incur that goes beyond normal everyday use**. Enjoy peace of mind when leasing, knowing you have options and you’re covered.